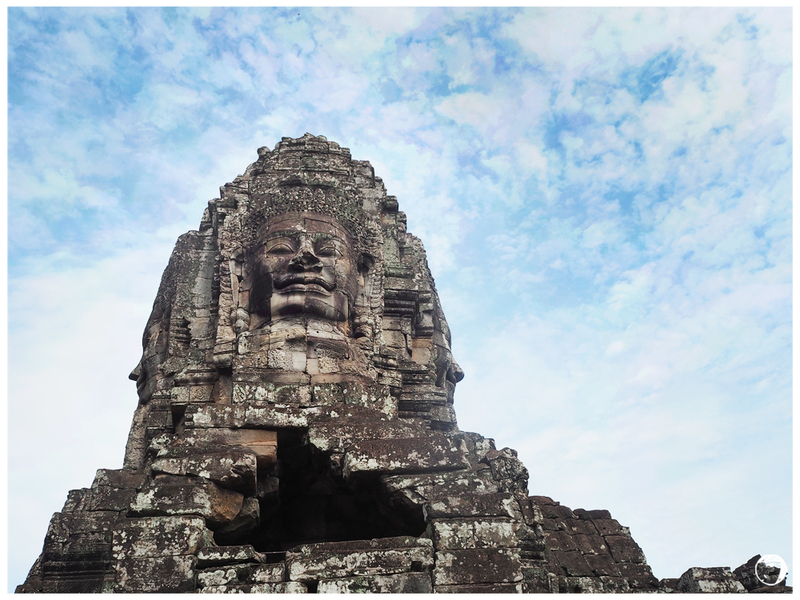 After our visit to the magnificent Angkor Temple (read my post about Angkor Temple here), we continued to the next site. 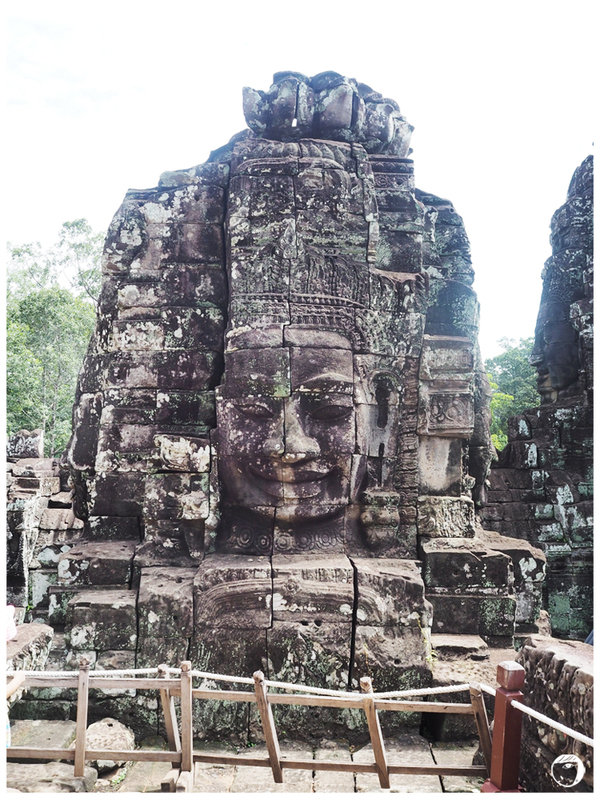 The Bayon Temple is another amazing site of Angkor Wat that I would say worth the journey. 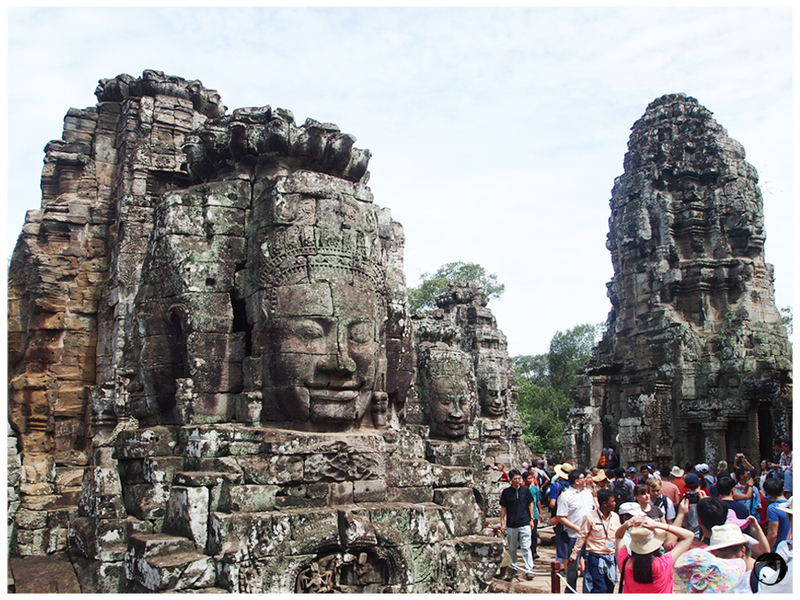 Once we arrived at The Bayon, it was already almost noon and the day was getting hotter. Stepping into the temple complex, I was welcomed by many massive stones with smiling faces looking to four directions. Each statue features a smile and each smiling face represents the charming smile, sad smile, glad smile and the beautiful smile. It is believed that they are images of The King Jayavarman VII. I left, wondering how the temple was built. The wall carvings were so beautifully made and detailed. 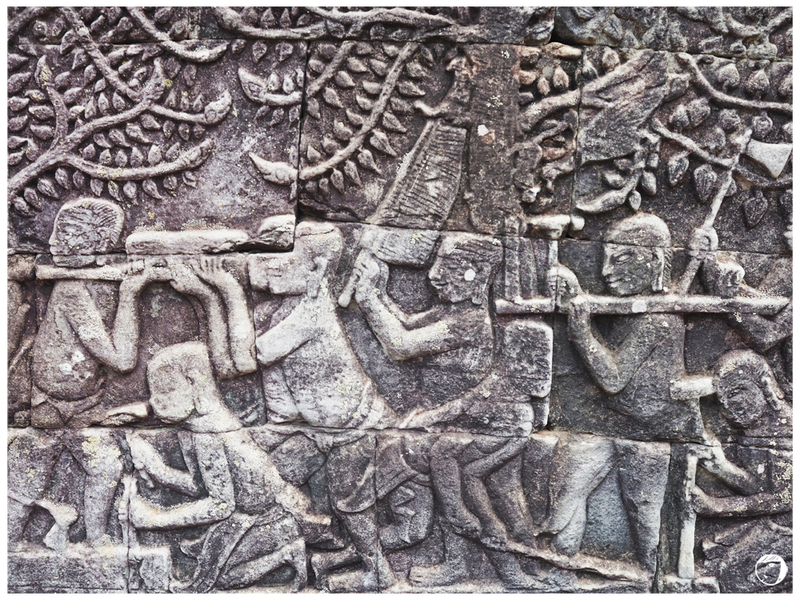 Each of them depict stories of of The Khmer Kingdom and Buddhism. The face with most beautiful smile.